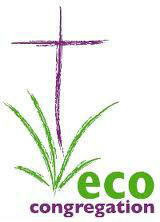 An Eco Congregation and a Fairtrade Church! Congratulations – you’re now part of an Eco–Congregation! In November 2012 our excellent work was recognised as we were awarded the right to be the 248th Eco Congregation in England and Wales – and one of only 2 in Solihull! Recycling, reducing our energy use, honouring God for His creation, encouraging good stewardship of that great gift to us, reaching out to those whose lives are severely affected by climate change…. these are all the practical things that have been recognised in this award. See ecocongregation.org for further information. Look out in the News section for forthcoming events, and the opportunity to order Traidcraft goods. Ideas and help are always welcome. Contact us via the Parish Office. An Eco Tip: Why not use products that are Local, Organic, Animal Friendly and Fair Trade? Go on, use your LOAF! BATTERIES-There is now a permanent Recycling box in Sainsbury’s at Dorridge for batteries. Also inside the Co-operative shop at Bentley Heath. So please no more batteries in the Church Recycling Boxes thank you. What can I recycle at church? Spectacles are collected by local Opticians. They are taken apart and bits of Gold, Silver and other metals are extracted and sold. Lenses are ground > to produce a raw glass product that can be made into new glasses. Revenue from this is used to ensure a steady supply of new lenses and frames to the developing world. Mobile phones & Ink cartridges are recycled in aid of The Red Cross-look for separate box on top of main Recycling box. Used stamps - collected to raise funds for Canine Partners - Place them in the ‘Post Box’ also on the top of Recycling box. Greetings cards are remade & sold in aid of Goodwill Villages in India. The Recycling boxes are in the corner of the Link, next to the bookshelf. There is also a small box in the Porch at St James. Thank You to everyone who takes the trouble to Recycle-every little helps!